The year 2008 is the 100th anniversary of the death of Josef Hlávka (1831-1908), the most important patron of Czech science and culture. The exhibition, designed to commemorate this anniversary in the exhibition premises of St George’s Convent at Prague Castle, will trace Hlávka’s connection with the predecessors of today’s National Gallery in Prague. 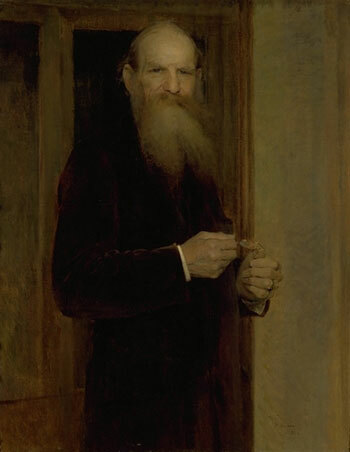 It will present several dozen artworks that Hlávka bequeathed to the Picture Gallery of the Society of Patriotic Friends of Art in 1904 and recall his activities on the Board of Trustees of the Modern Gallery of the Kingdom of Bohemia, which – with his help – formulated the principles, by which this first public collection of modern art in our country was governed for four decades. special promotion: admission free on Mondays, from 5pm.